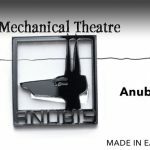 Two new badges featuring our favourite Egyptian God Anubis. 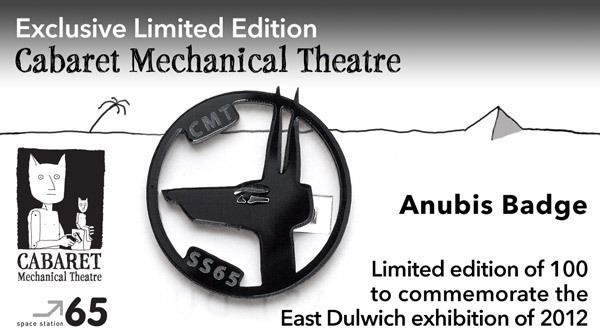 The first is a limited edition of 100 to commemorate the East Dulwich exhibition of 2012 at Space Station 65. 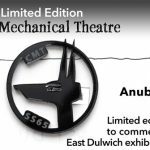 The Lord of the Mummy Wrappings presides on this laser cut badge. The second is unlimited but just as exclusive. 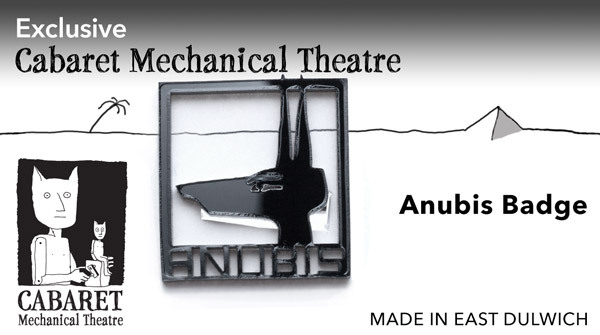 A stylish, laser-cut, black badge, featuring the head of the Egyptian God Anubis.